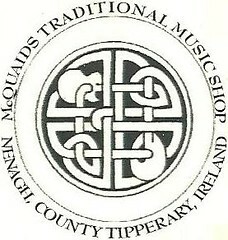 McQuaid’s Music shop will be participating in the customer appreciation initiative-Friday December 4th.If ,you are in the vicinity,please call and sample complimentary mince pie and mulled wine !Festivities kickoff at 5.30pm, have fun ! How often should one change the strings ? A What type of string instrument is involved ? B How old are the current strings ? C How often do you play the instrument , daily or weekly ? As a general rule violin and banjo are loud instruments and the strings might be changed every 2/3 months , depending on B&C above !Mandolins,mandolas,guitars, bouzouikis need to have the strings changed more frequently, some professional musicians are of the opinion that one shuld replace strings daily,i remember witnessing the folk group ‘clannad’ change strings on all the acoustic instruments at the interval, thus ensuring that they had a bright ,mellifluous sound for the second half of the performance ! C lets you play faster and won’t soil or stain the fingerboard . Having used the product for over 20 years , i can verify the authenticity of the above claims !The poduct is available at mcquaids music shop and is relatively inexpensive , retailing at 10 euro a tin + p.&P. for mail order customers ! Comments Off on How often should one change the strings ? At the time of writing various ‘fleah cheoil’ will be taking place ” Having attended quite a few competitions over the years;-one important point seems to be over looked by many musicians;the ‘Strings’! Fiddles,Flutes everywhere (some banjos too)…if its music you want, be at the Highbernian Nov.15. Tweet “Trocaire helps bring people together worldwide”-so in that tradition the word ‘traditional’has been expanded to include different forms of music,ranging from the spoken word to full ensemble trad session. Saturday August 31 marks the 100 anniversary of the 1913 Lockout.To commemorate the occasion a diverse collection,comprising Andy Irvine,Jinx Lennon,Ian Proust and Captain Moonlight will perform at The workingman’s club ,wellington Quay Dublin 8PM (Click to tweet). Andy Irvine is sure to give ‘James Connolly’ an airing -“Who mourns now for our James Connolly ?Who mourns now for that gallant man?Oh,lay me down in your green garden and make my bearers Union men. Oh where,oh where is our James Connolly?Oh where,oh where is that gallant man ?He has gone to organise the unions that working men might yet be free “.